Mr. Charles J. Grimm, Age 80, passed away on February 10th 2019 at his home in Taunton MA. Born on October 1st, 1938, to the late Anna (Martin) and Edward Grimm. Mr. Grimm enjoyed Reading, eating and spending time with his loving family, especially his granddaughters. Charles was born in NY and was an avid Yankees fan. He had a passion for training Greyhounds. For over 45 years he traveled to many different Greyhound farms. 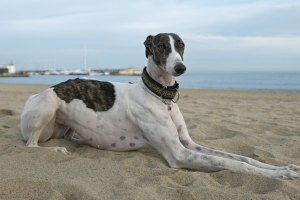 He trained, raised and checked on Greyhounds throughout his life. Loving father of Megan A. Grimm. Beloved grandfather of Emily Travers and Johannah Ashcroft. He was also the brother of the late Robert Grimm.